and How a simple filter can protect them! It is that time of life when almost all of own a laptop, a TV or a mobile phone and there is no doubt in the fact that technology has taken over the world but if you dig deep then you’ll see that where all these digital devices are a blessing for us, they are harmful too. Most importantly, the light coming out of our screens is the most dangerous thing that we expose our eyes to. 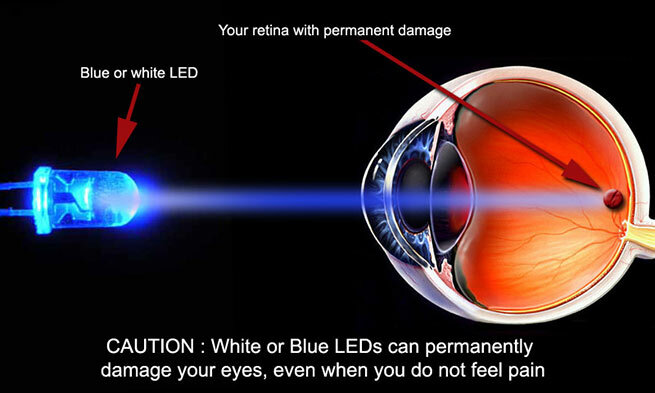 Want to know more than why is this light dangerous and what causes eye pain? Well, stick to this article a little longer because we are now going to explain it all to you. There are several types of lights around us but the reason why blue light is the most dangerous is that it this one comes with the shortest wavelength which means it is extremely powerful and so is its effect on our eyes that can result in various types of eye muscle pain. When we use our mobile phones and laptops, the blue light from electronics like these goes straight to the retina of our eyes and that is exactly where all the issue begins. Has it ever occurred to you that you found it hard to get a good sleep at night? Well, the major reason behind it is the exposure of the blue light to your eyes. This is why a lot of elder people keep advising us to use as less of our cell phones as we can. What Can Blue Light Do To Your Eyes? Blue light can cause various ocular diseases and most of the times it all starts with vision problems such as farsightedness and nearsightedness. We are pretty sure that you know a lot of people in your circle who wear contact lenses or glasses as they are suffering through the above-mentioned eye pain headache problems. Well, the major reason behind far and nearsightedness is that is the excessive use of digital devices. As suggested by Wikipedia, the excessive exposure of blue light to your eyes can even lead to permanent vision loss if your eyes are really sensitive to light. Other things that you might suffer due to blue light are macular degeneration, blurred vision, migraine eye pain, pain in the eyes and continuous heaviness of the eyes. 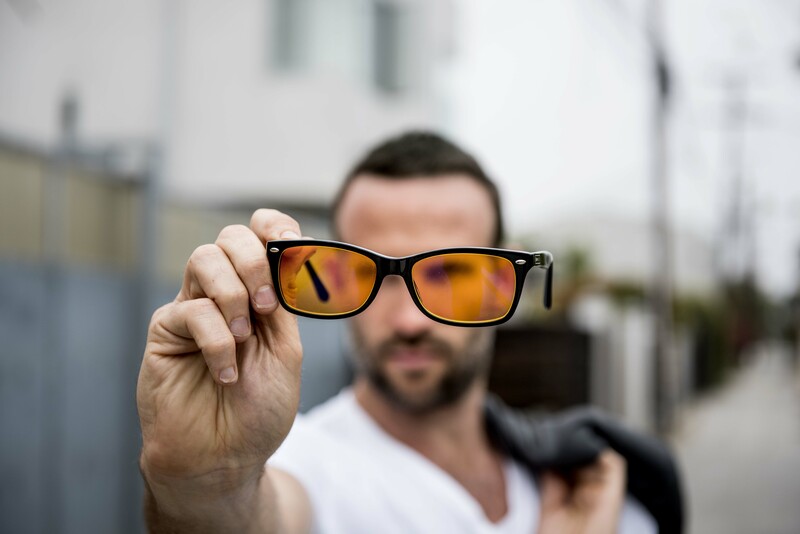 What Can Be Done To Protect Your Eyes? Blue light is basically responsible for putting a constant strain on your eyes and that eye strain ultimately goes straight to your nervous system which is why you find it hard at night to sleep. Now, if you are looking for ways to protect your eyes then honestly you need to install the Iris software right at the moment. Iris is one of the best software that can actually help you protect your eyes from the danger of blue light. We cannot suggest you to stop using your digital devices because maybe the nature of your job or work demands you to use your laptop and work on it even at the night hours which is why we came up with something that is actually possible and that is the use of Iris on your screens. 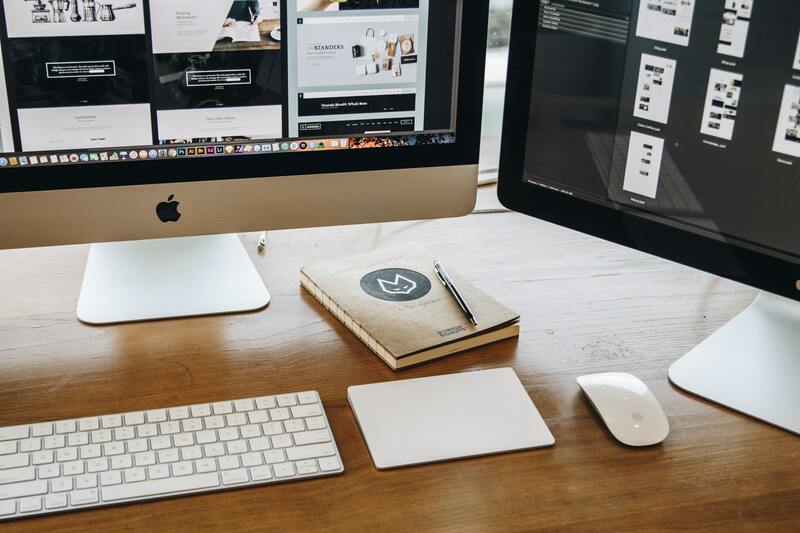 Iris is currently being used by thousands of people all around the world and it can actually make your monitor healthy for your eyes so yes, you need to get it if you really care about your vision. 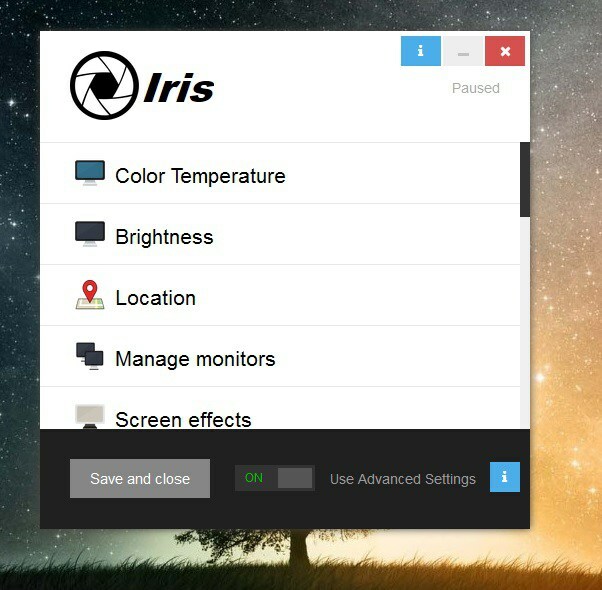 Iris is an intelligent computer screen dimmer software that actually regulates the blue light coming out of your screen according to the light around you which is why you even get a better sleep at night. So, without wasting any further time, get this screen dimmer for pc.